Big things DO come in small packages! Check out the PolarKraft 165 FF bass boat, offering many of the features and standard equipment found in much larger models. With a Mod-V design that’s priced right, and engineered to win, this exciting boat allows you to take advantage of the great fishing found in restricted HP lakes - where the larger bass boats just can’t go! You’ll love the dual live wells, loads of storage and the broad, stable beam that sets it even farther apart while reinforcing its place as the perfect fishing partner. 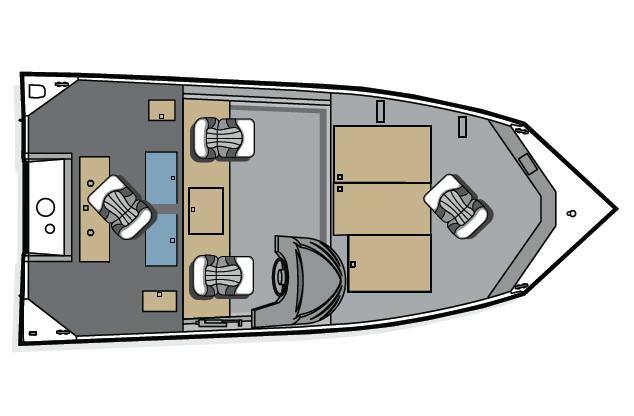 Its industry leading hull design offers unprecedented ride and stability for its class.